I personally don’t know how Ferrari continues to create incredible cars year after year. 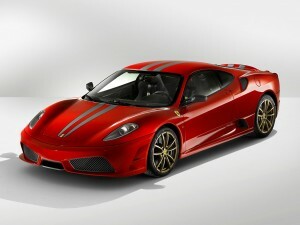 If you look at almost any other vehicle manufacturer it seems as no other car is as elegant and sporty as the Ferrari. For those that love classic Ferrari looks, the Scuderia Spider definitely doesn’t disappoint. The new Ferrari is actually the F430 Scuderia and in these incredibly tough economic times, it will not have any problems finding 499 buyers for its production worldwide. For car tuning enthusiasts that are constantly following what Ferrari creates, the F430 Scuderia Spider is currently the Ferrari’s fastest and most track proficient vehicle available. While the F430 is an incredible looking vehicle with plenty of performance under the hood, the joy to many enthusiasts when Ferrari took the hood off is beyond thrilled. It should also be noted that at the end of the full title of the car “F430 Scuderia Spider 16m” this 16m denotes its 16th F1 title win. So what is under the hood, well how about a huge 4.3 liter V8 engine that produces an astounding 510 hp and can accelerate from 0 to 60 in less than 4 seconds flat (actually 3.7 seconds). It should be noted that the Scuderia Spider does have some extra weight which is necessary to strengthen the chassis due to the convertible top, but even with the extra weight it still comes in weighing less than 80 kg than the standard F430 Spider. The Scuderia Spider comes with a six speed F1 Trac gear system, a dry clutch, electronic trick E-diff stability control system and wheel mounted switching. Other features include a new signature color scheme and a very high price. This Scuderia spider is priced at about USD $380K. Check out the complete Ferrari F430 Scuderia Photo Gallery.